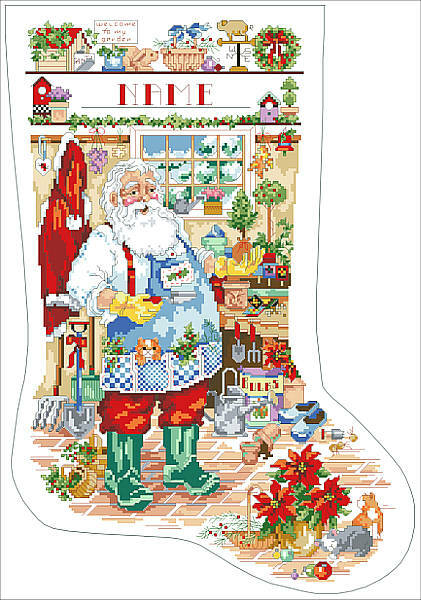 Hang this classic Santa Gardening stocking by your chimney with care as a festive accent, then fill it with gardening gifts and surprises for a merry Christmas morning. Give this thoughtful gift along with our other garden décor charts. Contents: Stitch Count 145w X 220h, finished size on 14 ct, 10-1/4" X 15-5/8"